Register here to view website with more information. 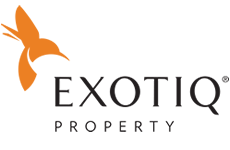 Since you are a recipient of Gapura Bali, we are passing along this advertisement from Exotiq Property Bali. We are in no way suggesting that you apply for the advertised product or recommending or endorsing the products described in the advert in any way. We make no warranty as to the accuracy, completeness or reliability of the information contained in this advertisement or associated links. To the extent permitted by law, we exclude any liability, including any liability for negligence, for any loss, including indirect or consequential damages arising from or in relation to the use of any of the information on this website or associated pages nor do we accept any liability and responsibility arising in any way from omissions or errors contained in this advertisement. Read more important information.